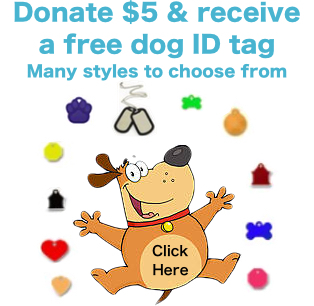 Lost Dogs Illinois | Helping reunite lost dogs with their families. I reached out to the family who definitely needed assistance and they got Mattie registered with Lost Dogs Illinois and we generated a simple clear flyer to start sharing. The last known sighting was that same evening going under a business gate in an industrial area. That was it. 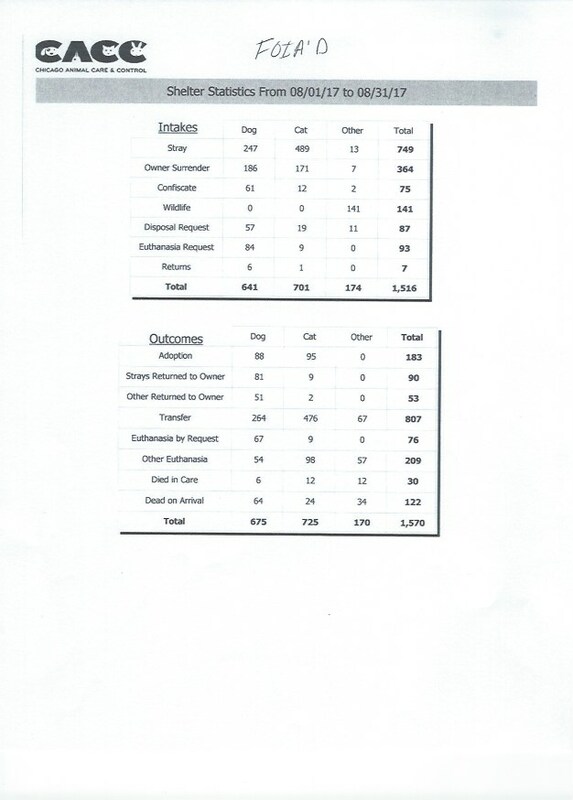 The next day flyers were ordered and one call came on that she may have been seen same area. Owner was working so food and a trail camera were put out and we looked at the map to see the surrounding area which had some residential and larger homes and train tracks. Next morning the owner got a call that a couple had seen mattie along their decline when their dogs were outside. Two mornings in a row. The wife checked Lost Dogs Illinois and found her flyer and called. I was able to contact this couple and start a conversation and get a plan in place. Matties collar was still attached. They were gracious enough to let us do whatever we needed with cameras and a feeding station and even came out to help at night. The next morning only coyotes were on camera but I ser up early. No mattie. 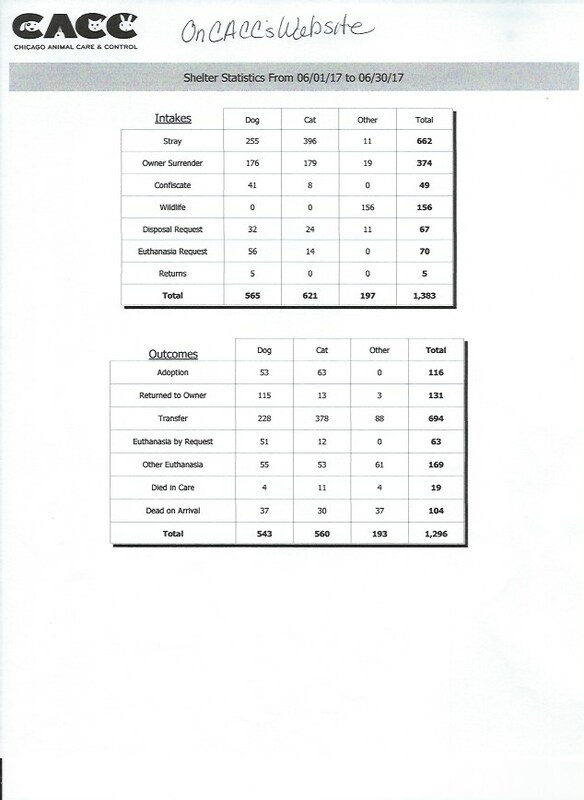 Left to flyer just a bit then…. At 930 she came trotting around from the berm and houses. Ate some trailed food and left. But, she found food! Game changer. Waited for a few more hours. Nothing. Flyered just a bit more but knowing where she was didn’t want to draw too much attention to her. Left feeding station and around 2:30 the couple saw her again and she fully engaged the trap and ate a full bowl of food. Knowing she may not be hungry for a night time trap attempt, I almost didnt go back. But I wanted to see how she acted around and in the trap. We used a 5ft Tomahawk trap. And by the photos her leash was still partially out even when she (all 40 lbs of her) was all the way in. It did not tangle. So close to sun down came and she returned but sat in the field but no interest in food. She left. After sun down she came back and were safely able to trap her. We covered the trap. Moved the trap and her into a SUV and to the homeowners garage to safely get her out. Flyers work. Lost Dogs Illinois works. Patience and knowledge help. 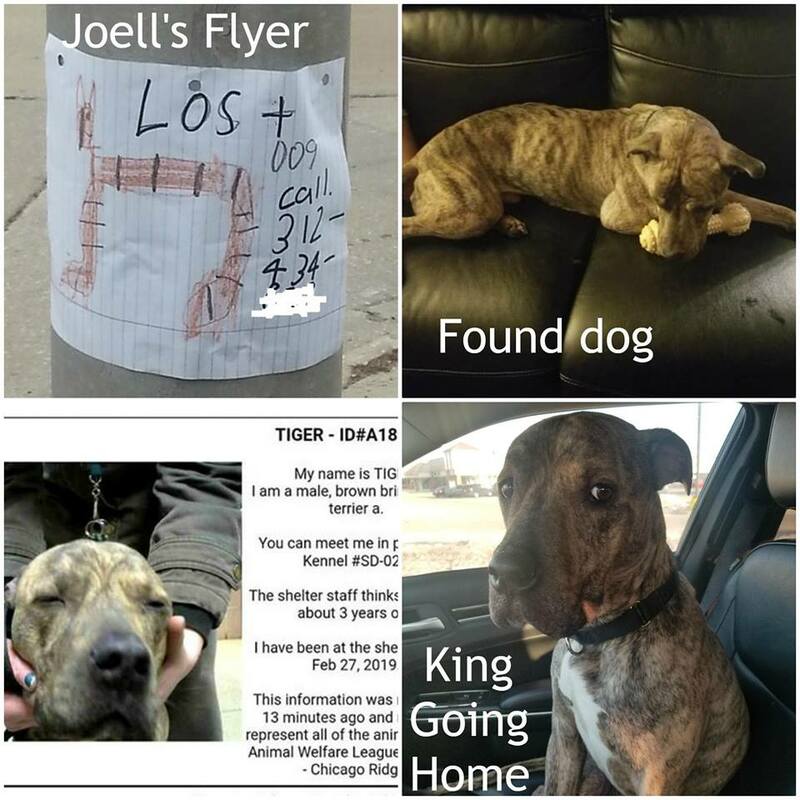 This entry was posted in Reunions and tagged flyers, Lost Dogs Illinois on March 30, 2019 by Lost Dogs Illinois. We adopted Pixxie from a foster just under three months ago. I leashed my two girls up on their harnesses and went to meet a friend to walk. Pixxie wasn’t used to walking on a leash when we got her. We were heading home after a half hour, and I went to switch the leash to my other hand, and dropped it! Pixxie froze, but naturally my reaction was to step on the leash, in case she took off into the street! Well, I had a plastic bag holder attached to the leash, and sure enough that is where I stepped, causing me to roll on it and fumble! This was enough to scare her off, and there she went, across the street, and passed a neighbor who attempted to grab her. She just kept running!!! This neighborhood has no fences, so she could have been anywhere. I headed in with Elle, and walked for a half hour. I called Susan, the director of LDI, as I became numb, and she made some calls for help: Volunteer Sarah posted her as lost on LDI, Lisa, her daughter and her Beagle came to walk the area, and Jen and Julie came to get flyers posted for me! Meanwhile, my daughter and my husband took off and walked the neighborhood, letting everyone know to call if they saw her. Glad it was a Sunday. We are so thankful she was found so fast, and for everyone jumping to help right away. What a great community! I know now, to take that extra precaution when walking Pixxie. You never know what can set them off to run! It was a very very long hour with a lot of emotions! This entry was posted in Reunions on March 30, 2019 by Lost Dogs Illinois. We can’t stress this enough: ANY kind of flyers work AND never assume someone is transferring ownership on the microchip when you adopt! Joanne J. was helping hang flyers for a lost dog, and saw a hand drawn “lost dog” flyer for another dog. She decided to post it to the neighborhood page she is on; Lost & Found Cats & Dogs on the South/Southwest Side of Chicago, thank goodness!!! 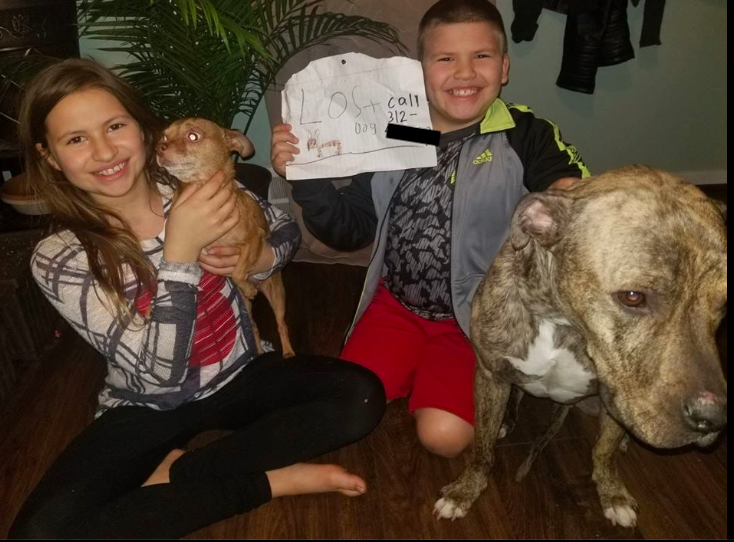 I saw the post, and commented that I was going to reach out to the family, and help get their dog registered and posted with Lost Dogs Illinois. 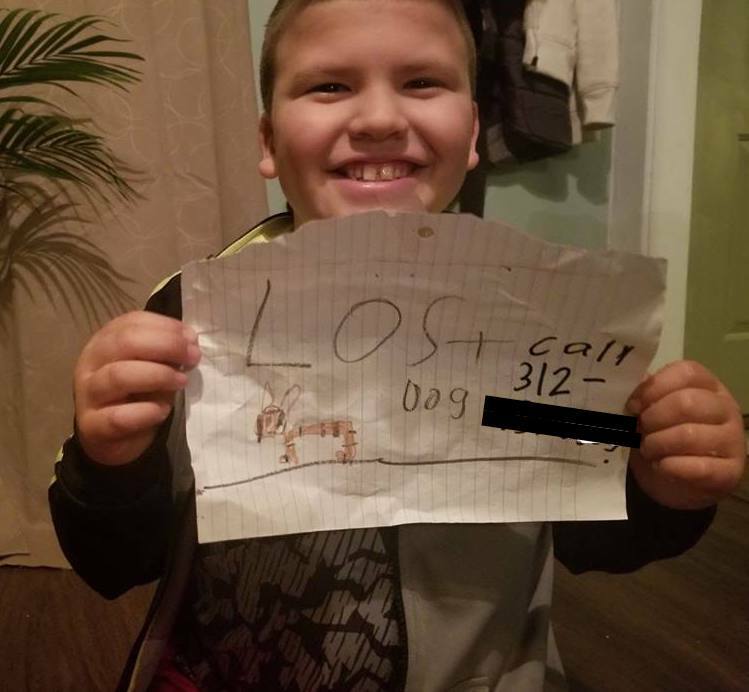 Turns out the phone number on the flyer was for the grandmother of the 7 year old boy that drew the lost dog flyer. She told me it is her daughter’s dog, and that her daughter is at work but that she would get “King” registered right after work. 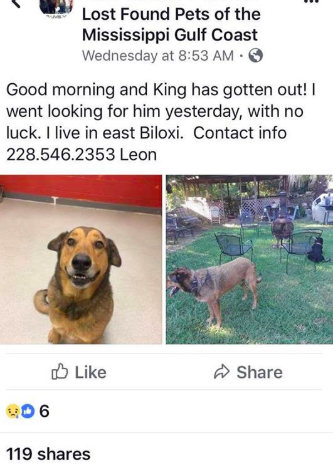 She also described King to me, told me he had been missing since Tuesday, 2/26, and that he was adopted from animal welfare a few months ago (turns out he was adopted from Chicago Animal Care and Control). I posted this information to Joanne on the neighborhood page. 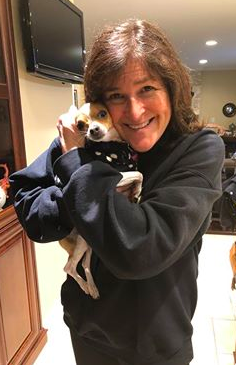 Sue R. had commented there about a dog that was found that matched the drawing of the dog, and Vazquez P. commented with a match to a found dog at AWL! The description and date matched! This dog was named Tiger, so I messaged the grandmother, and she said, “yes, that was his name when he was adopted.” She said the dog sure looked like King! The daughter, Christina, called me yesterday. She told me she assumed someone had taken King in because she knew he had a microchip so if he turned up at the police station or animal control, they would have called her. I spoke with AWL early Monday morning, and they told me they had contacted the owner registered on Tiger’s microchip by leaving a voicemail, but had not heard back. Christina gave me King’s microchip number and I was able to confirm that two companies still only had the previous owner information. Christina was planning to go to AWL after work. Christina brought all her CACC adoption information with her to AWL. 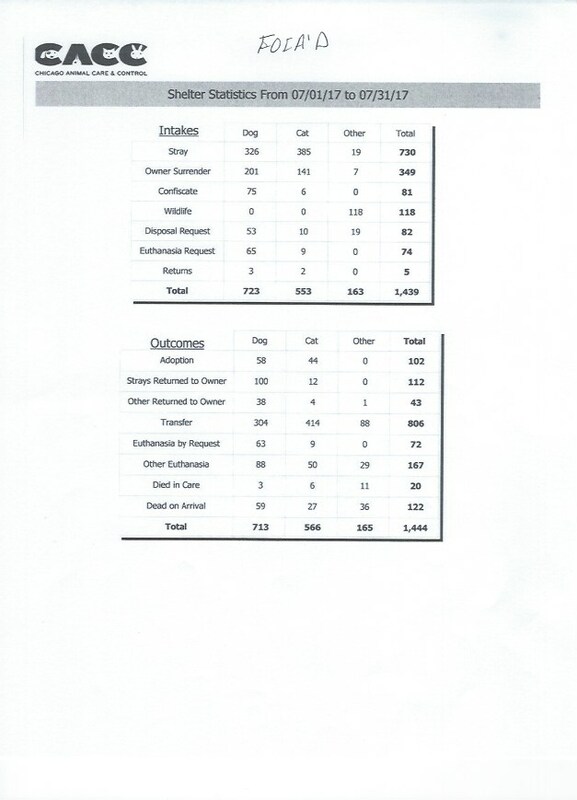 It included the paperwork that had the microchip number on it. “Tiger” was not listed with AWL on petharbor anymore as of Monday morning so she was concerned. She insisted that this was her dog, and after paying $160 to reclaim him, he is now home! I gave Christina the information she needs to update King’s owner information to her, so this doesn’t happen again. Great job on making that flyer Joell! We are proud of you!!! You got your dog back home to you! Thank you to Joanne J., Sue R, and Vazquez P. from King’s family: “Seriously! I wouldn’t believe it if it hadn’t happened to me. I can’t thank you enough. You guys do amazing work, you found a dog from a stick figure picture! “Thank you so much for your help! I never would have found him!!! 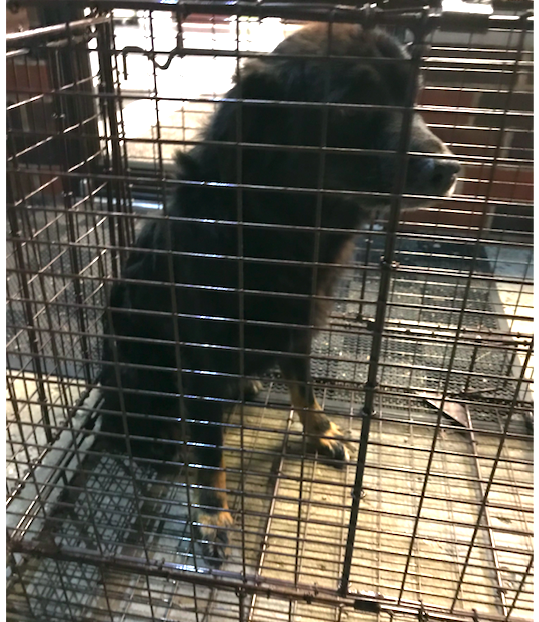 This entry was posted in Found a Dog, Microchips and tagged flyers, matching, microchips on March 6, 2019 by Lost Dogs Illinois. This was Sadie, a dog who was being transported from one state to another. She managed to escape from the transport during a break at a truck stop. Last Friday one of our LDI volunteers was devastated by witnessing a lost dog hit by a car and dying in her husband’s arms. The local animal rescue, IVAR, stepped up to the plate and immediately took action to bring Sadie back safely. 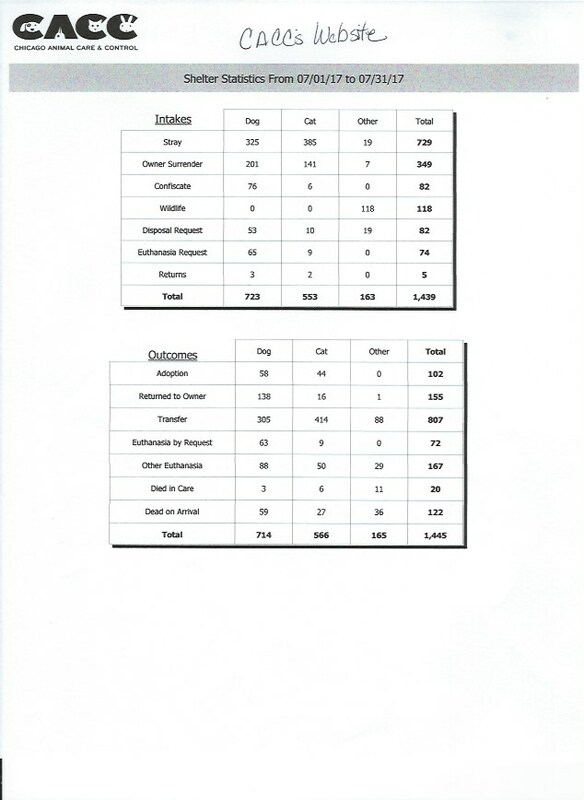 They used every avenue available to achieve this goal. Sadly, after a five day effort to capture her, she was hit by a car and lost her life. We cannot bring Sadie back but her story may help others. Rest in peace beautiful girl. You were loved. When we lose one of these transport dogs it is devastating to all parties involved. The rescues & shelters, the search teams, the transporters, the foster waiting for their arrival and even the person who hit the dog – all have to deal with the loss. 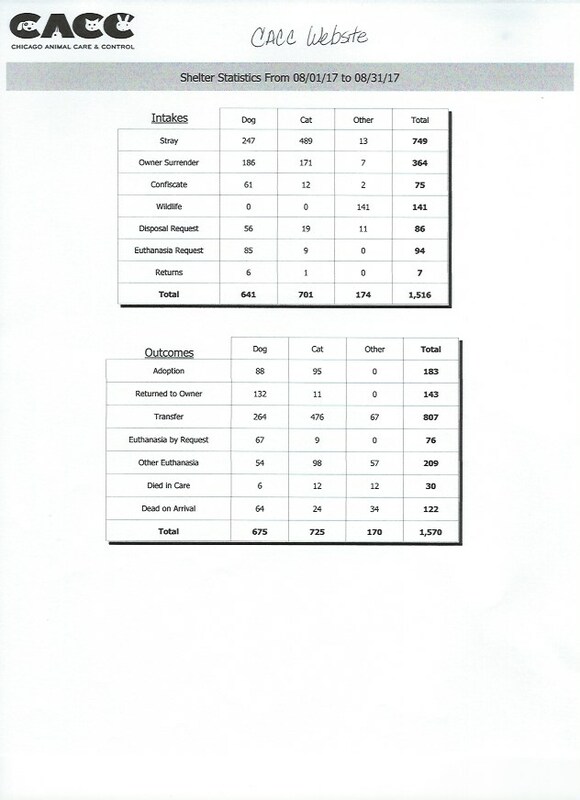 Too many dogs are being lost during transports. We need to do better. Does the dog have proper equipment to keep him safe? 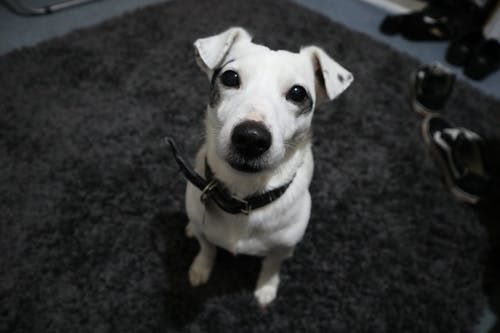 Is the dog microchipped and has a visible id tag on the collar with a current phone number? 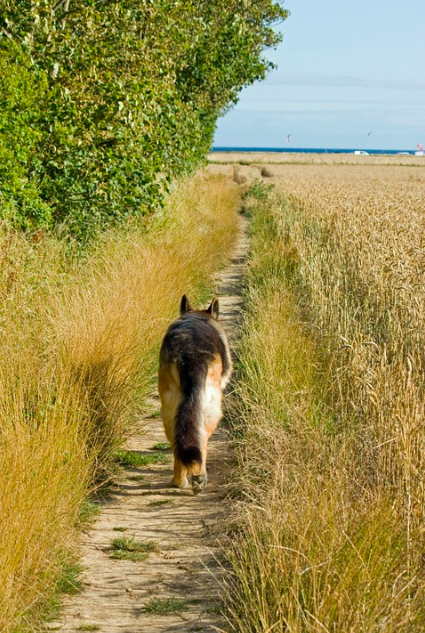 Does the dog really need to be exercised? 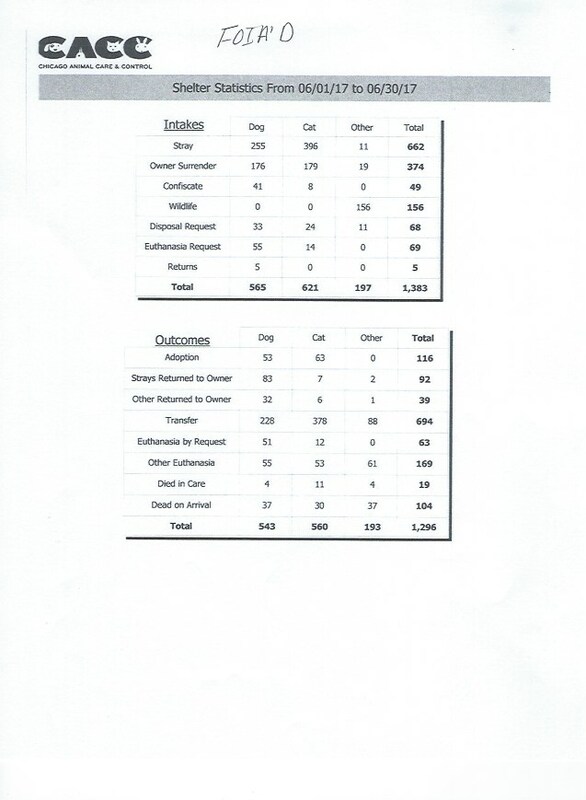 Is every effort being made to minimize the loss when transferring the dog from one car to another? Are dogs being transported in crates with no free movement in the car? Are the transport team members or volunteers educated on the proper and safe handling of the dog? Are they given all information available on the dog – ie: Is the dog an escape artist, afraid of certain sounds or noise, afraid of people or other dogs? Maybe with more effort placed on education and transport safety we can reduce the losses suffered and get more of these wonderful dogs to the new life they deserve. 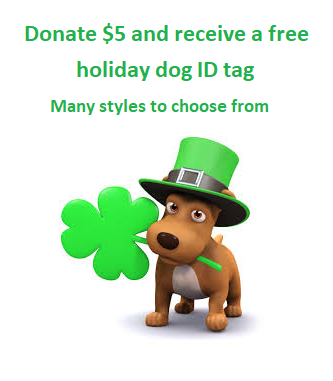 This entry was posted in Prevention, Rescues and Shelters on February 11, 2019 by Lost Dogs Illinois. 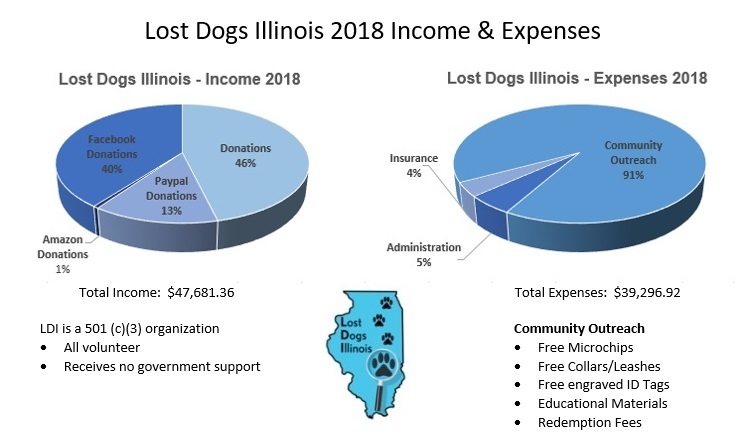 This entry was posted in Our Organization and tagged income/expenses 2018 on January 25, 2019 by Lost Dogs Illinois. The year has come to an end and we are going to ask you to click on this link and to look through our 2018Missing Dogs Albums one more time. or Helping Lost Pets. (If you are on a mobile phone, please search for albums or photos in the menu) Although we have had an incredibly successful year (over 3,500 reunions so far) we have so many dogs that we are still searching for. Thank you for helping us. Please take a few moments, scroll through our missing dog albums, and maybe, just maybe we can help reunite a few more of these dogs in 2019. This entry was posted in lost dogs, Search Strategies and tagged lost dogs on January 1, 2019 by Lost Dogs Illinois. People were more concerned about rehoming this “found” dog rather than trying to find his owner. Thank you Ev for sharing King’s story in your own words…. If you don’t mind I want to share a story with you. It’s not a Illinois dog but a Mississippi dog. Not sure if you saw the post I originally shared on my page. A kind soul was traveling and found a shepherd mix in Bilxo MS, who a stranger in the parking lot said the dog was roaming for almost a month, so the finder brings him to a shelter in Altanta Ga as it was late at night when he found the dog and had to get to GA. That shelter scanned and found a chip but no owner registered so sent him on his way as they couldn’t take the dog. He brings the dog to Chicago but can’t keep him so puts out a post to find him a new home. He had over 150 messages to take the dog, so I made it my mission to try and find this dog’s family. I called the shelter King was adopted from in May 2011 Jackson County Animal Shelter in Gaultier MS (the info I found out from the chip). Mind you his chip now had an alert on it as being found. After conversation the shelter & I began with messaging so I could share the video and the info from the chip. They called me and said what would you like us to do. I said I don’t expect you to give me the owner information as I know you can’t but please contact the owner and the finder, Fredo. I gave them his number. 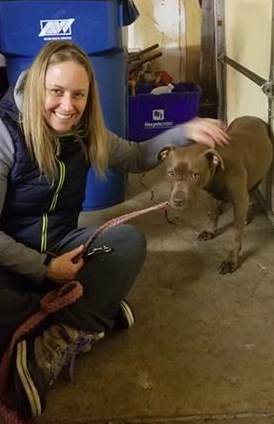 This entry was posted in Microchips, Reunions and tagged reunions on December 13, 2018 by Lost Dogs Illinois. Placing Paws Rescue commitment to bring Ebony home! Ebony is a rescue dog with Placing Paws Rescue, where I am a volunteer. She was adopted out and escaped from her new owners house less than a week after being adopted. I live close by, and as soon as she went missing me and other Placing Paws volunteers were out. We put up flyers like crazy, fielded sightings, walked for miles talking to people, feeding stations were set up with cameras. Thank you, Julie C, for sharing Ebony’s story. 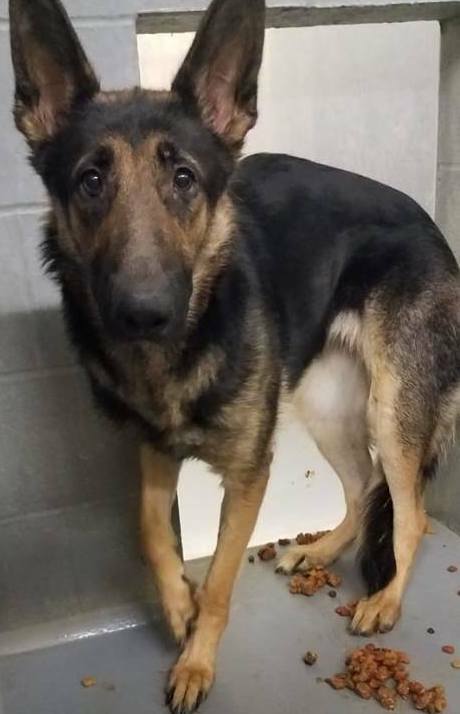 This entry was posted in Rescues and Shelters, Reunions, Search Strategies on November 24, 2018 by Lost Dogs Illinois.